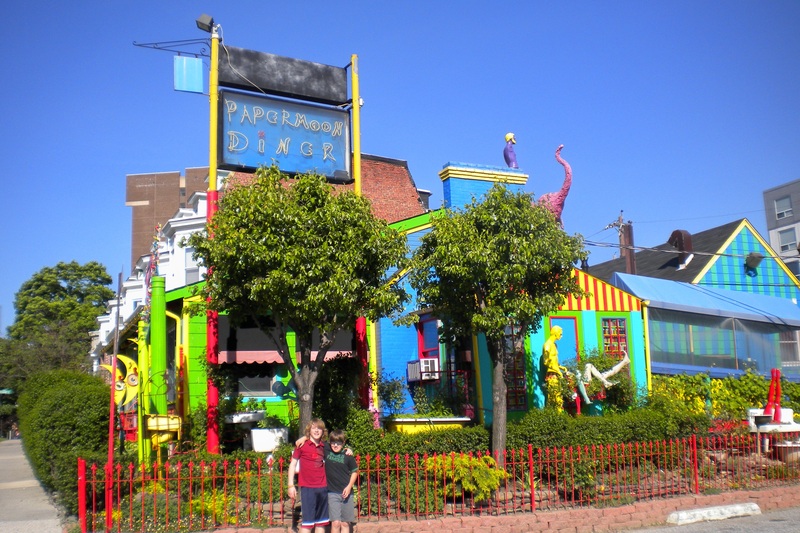 Looking for a fun family attraction for your next vacation or just a day out around the corner? Check out Family Days Out! You can search for your next family adventure by region, indoor or outdoor activities and by the ages of your kids. I also love how you can sort by what type of attraction, like a museum or theme park. I found some great ideas that were not in some of my go to travel guides. This is a fantastic resource for families in the United States and Canada. Pack Light – With so many airlines charging for extra luggage, pack everything in a carry-on unless you want to pay an extra $15 to $50. Additionally, if your checked bag is heavier than it’s supposed to be, you’ll be charged for the extra weight. Roadtrippers, Discover Your America is a simple and intuitive road trip planner that helps you discover, plan and book the best places and experiences along your way. Check out their blog too for some really cool travel ideas. “Best Road Trip Ever!” is a location-based travel app that features almost 10,000 offbeat attractions, folk art sites, sights, and eateries across the country in one handy app. This is great for roadside attractions, offbeat museums and historical markers. This is a sure way to silence those “Are we there yet?” whines from the backseat! dates. You can search by the following cities: Atlanta, Boston, Chicago, Houston, Los Angeles, Miami, New York City, Orlando, Philadelphia, San Diego, San Francisco and Seattle. 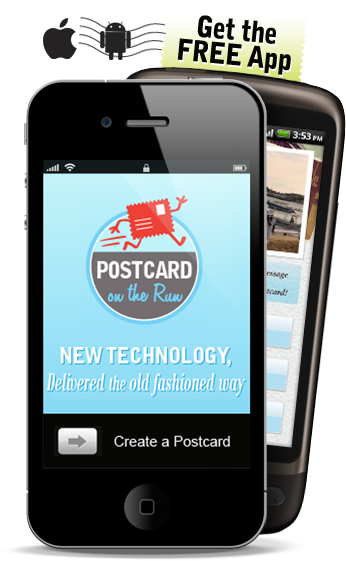 Postcard on the Run – Okay, maybe I should call this page “there is an app for that” because I can’t help but recommend cool new technologies that are related to travel! Now you can send a postcard to your friends and family without buying stamps or searching for a mailbox. Just take a picture on your iPhone or Android device, write a message and sign your name, then add an address and you are ready to roll. Charges range from $.99 to $1.69 and an actual post card will be sent out to your desired recipient. For added fun and extra 5o cents, you can add a scratch n’ smell coating to your postcard. I bet adding a “suntan lotion” or “ocean breeze” scent really will make your friends feel like you “wish they were there”! ANOTHER COOL APP – Foodspotting! “Find and recommend dishes, not just restaurants.” Find whatever you’re craving , browse photos of what’s good at a particular restaurant and discover must-try dishes. 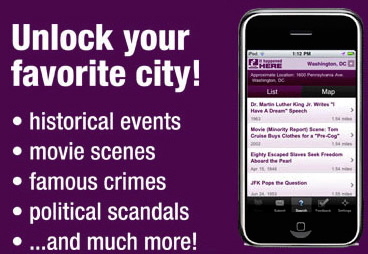 DOWNLOAD “IT HAPPENED HERE” APP TO YOUR PHONE – This app is so cool! You can learn all sorts of facts about a city ranging from historical events to movie scenes! You will receive a description and picture with web links presented in a list or on a map depending how you customize your settings. Users can also share their presence at a interesting location on Facebook and Twitter. Currently it only offered in six cities in the United States, but more cities are to come. Travel and Leisure named it “Best iPhone Tour App”. 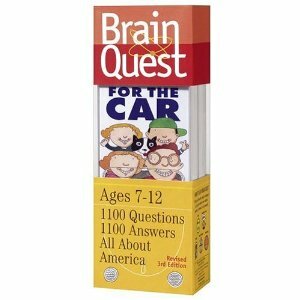 PACK TRAVEL GAMES – One of my favorite travel games is Brain Quest for the Car. This game is a great way to be involved with your kids, get them excited about the trip. The game comes with two decks for each partner or team and the questions cover 5 categories (people, geography & nature, history, culture & customs and odds & ends). The game is curriculum based and teacher approved! Also included in the game is guides to original games like destinations, license plates, detour, traffic, animania, lookout and number crazy. Brain Quest is a great game that makes riding in the backseat or on plane entertaining and fun. GET YOUR DOCUMENTS IN ORDER WHEN ONE PARENT IS TRAVELING ACROSS THE BORDER – Make sure you have a consent to travel letter that is notarized from the other parent. If the parents are divorced or separated, the parents should carry a copy of the legal custody agreement for the children. Finally, if the child has a different last name , the parent should also travel with a copy of the child’s birth certificate. These tips are needed specifically if you are headed into Canada or Mexico. I have taken several international trips with my son by airplane, and our passports were sufficient. The best advise as always, is be prepared. 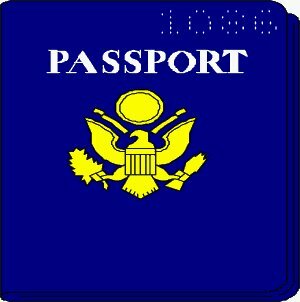 Check with the US Department of State’s Bureau of Consular Affairs which list travel documents required by numerous countries around the world. TRAVEL TO A DESTINATION THAT CELEBRATES THE TRUE MEANING OF A HOLIDAY – Tour a Presidential Home for President’s Day, Visit Salem or Sleepy Hollow for Halloween, Head to Plymouth for Thanksgiving or visit Bethlehem or Santa’s Workshop for Christmas. USE CostToDrive.com – Planning a road trip? This great website is an easy way to find out how much it will cost to drive anywhere in the United States. A app is also available for the iPhone. It is very easy to use! Just type in where you are going and what car you are driving and presto…the cost of your drive is calculated! ADD SOME ADVENTURE – Who doesn’t love a treasure or scavenger hunt? When planning your next day-trip or vacation check out Stray Boots urban games or incorporate an outdoor treasure hunt game by Geocaching. Stray Boots is a half scavenger hunt, half walking tour where you use your cell phone as your guide. It is available in the following cities: Boston, Chicago, Las Vegas, Los Angeles, Nashville, New Orleans, New York, Philadelphia, Portland, San Diego, San Francisco, Seattle, and Washington DC. You can also find Stray Boots in the United Kingdom. If you are interested in a real world outdoor treasure hunt, learn more about Geocaching, by clicking “What is Geocaching?” to watch a video. The video will give you all the need to knows on how to get started. Another idea is to check out museums like the Spy Museum in Washington, DC which also offers their own geocaching program in the summer called Spy In The City-Sly Fox. PLAN WITH TRIP ADVISOR – Trip Advisor has been my greatest tool in planning trips! There are thousands of reviews for every aspect of planning a vacation You will be able to check out thousands of reviews of hotels, attractions and restaurants. I have also used the Trip Advisor App for mobile devices and it really helps you get straight to the facts and it is simple to use by filtering by price or neighborhood. USE FOOD TV ROAD TRIP PLANNER– I love road trips and my son gets a kick out of watching shows like Man vs Food, Food Paradise and Diners, Drive-ins and Dives. TV FoodMaps has a great tool where you can plug-in your starting city and your destination for your road trip to find great places to eat along your route that has been featured on TV. I often use this great website and have enjoyed some tasty meals at some unique restaurants that have made our road trips a lot of fun. CHECK AIRLINE BAGGAGE FEES – Often times when you are comparing flights to purchase it is easy to forget to calculate baggage fees. To make sure you are really getting the best deal round trip, go to AirlineBagFees.com. You will find a great chart with all the airlines listed in one place to make it easy to compare. USE TRAVEL GUIDES – The opportunity to travel to a new place and my limited vacation time always makes me want to make the most of my family vacation. I am always looking for unique learning experiences and love finding activities that are hands-on. Of course, I love historical places and checking out things that are only known to a particular area. Of course the internet is a great place to start and I couldn’t plan a trip without using tripadvisor. In addition, I also always go to the national parks service sites. Both sites, also have apps that you can download to your smart phone. The computer is a wonderful tool, but I still love picking up a travel guide from the bookstore. I particularly enjoy using the DK Eyewitness Travel Top 10 books and my favorite Frommer’s 500 places to take your kids before they grow up. Books that focus on that particular destination are great too. I used New York’s Curiosities when planning a road trip through western New York. It was in that book that I found great places to check out on our road trip. I would have never even known that there was a Jell-O Museum or a Kazoo Factory which turned out to be so much fun for my family. Most of these guides provide telephone numbers and websites to make your planning easy and help you save money by purchasing tickets in advance. BEST DAYS TO FLY & BUY AIRLINE TICKETS – According to FareCompare website, the least expensive day to fly is Wednesday, followed by Tuesday and Saturday. Usually the first flight out is the best bargain. The best day to purchase airline tickets is Tuesday at 3 pm Eastern time. The fares on Wednesday should hold, but will start going up by Thursday when the discounted fares are pulled. Thanks! I am amazed at some of the unique travel maps I have come across. Happy Travels!